Medium size mirrors were attached in the central spaces. 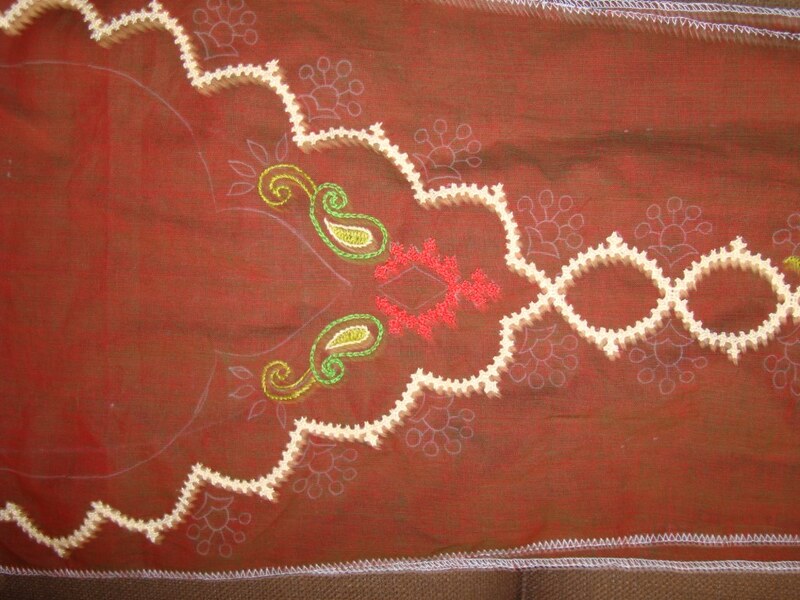 Small antique gold beads went along with the colour scheme, so they were worked inside the kutchwork motifs. 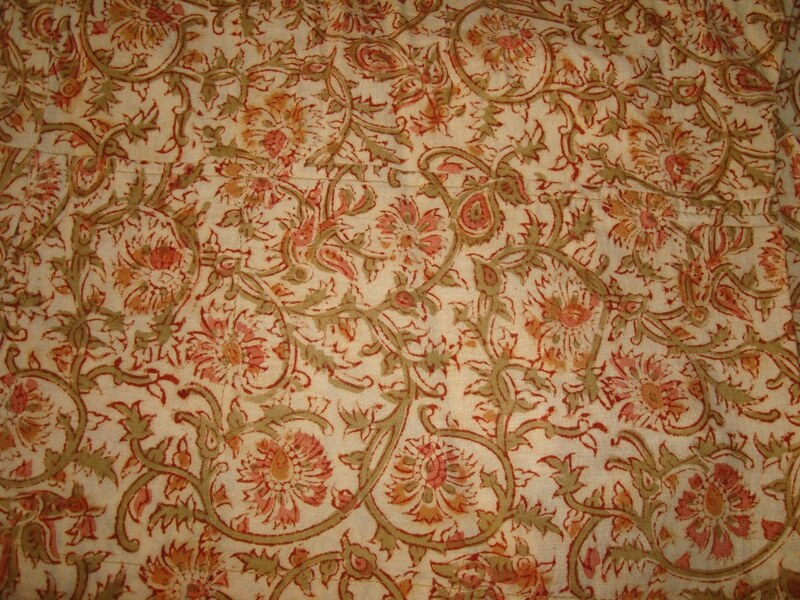 Cream thread was used extensively for outlines and for embellishing the flowers with straight and fly stitches. Small mirrors were worked inside the flowers. 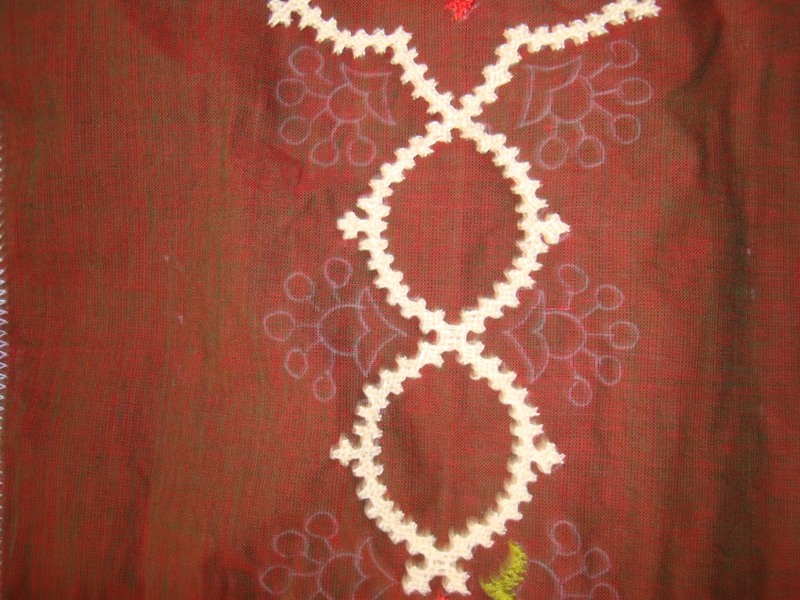 The experiment of drawing freeform kutchwork was quite rewarding in this tunic. I may try this idea in future, but not immediately! 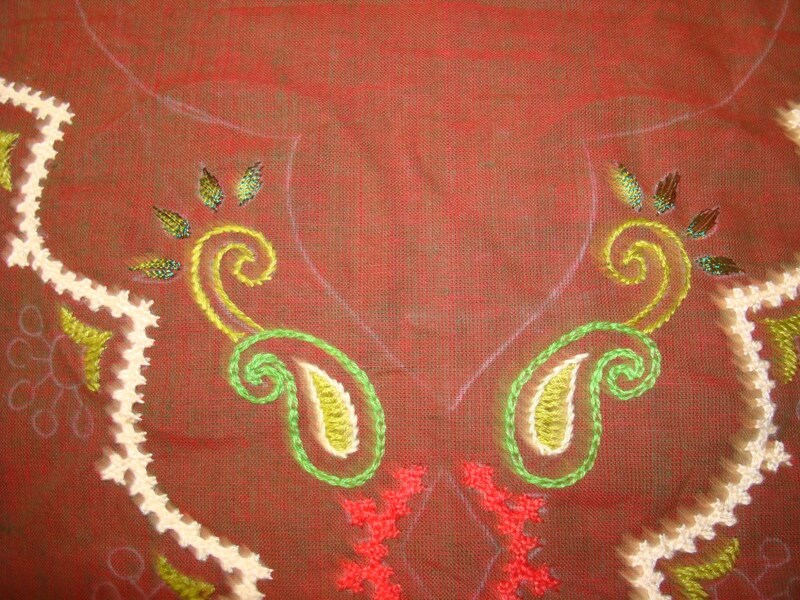 The colour scheme with mirrors also enhanced this yoke pattern. 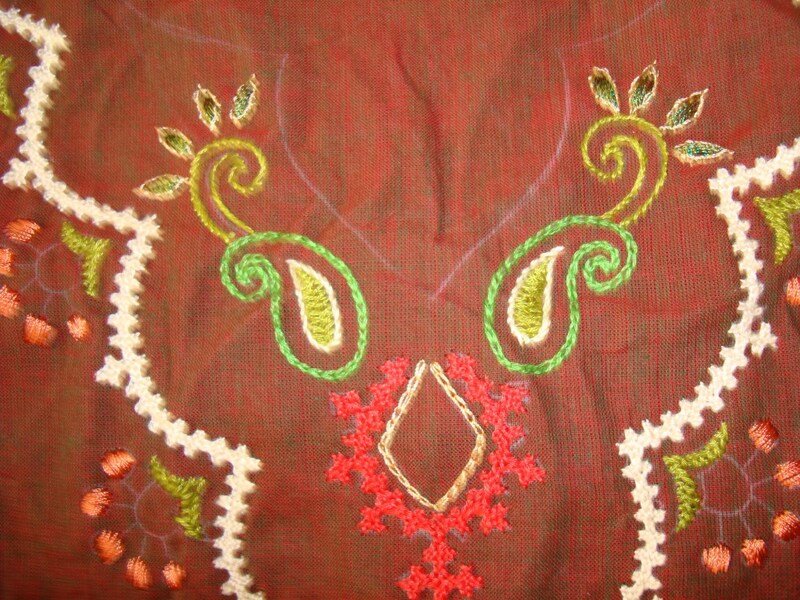 Satin stitches were worked on the patterns over the paisley on both sides in green metallic thread. 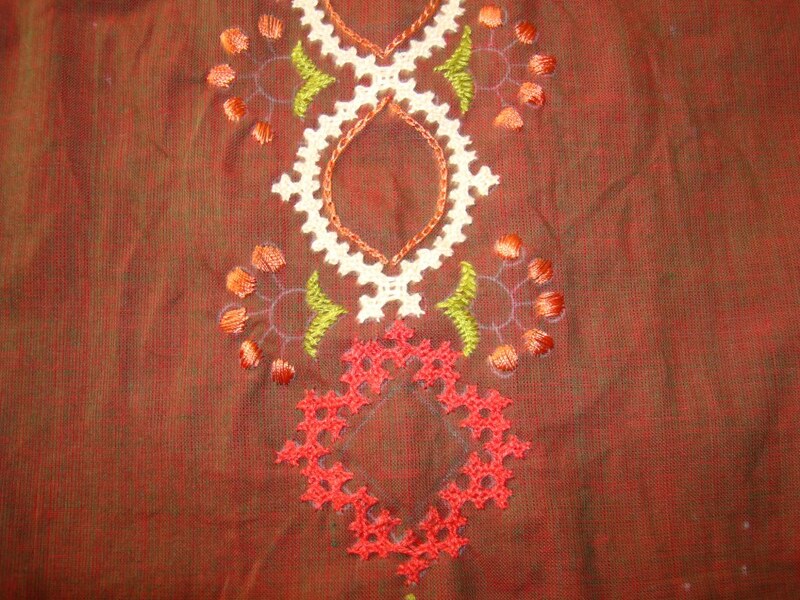 Since, I couldn’t get away from geometric kutch motif, it was worked with red thread with a space for working a big mirror! I was in India for my nephew’s wedding. After enjoying thoroughly, we returned to Muscat last week. But the routine is starting slowly. 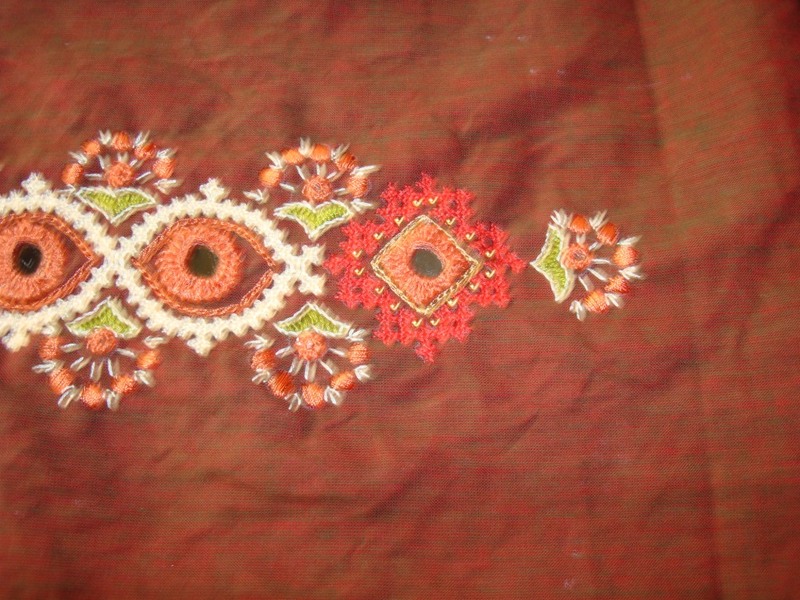 I‘ll post the details of the embroidery on bridal gifts after organizing the pictures. 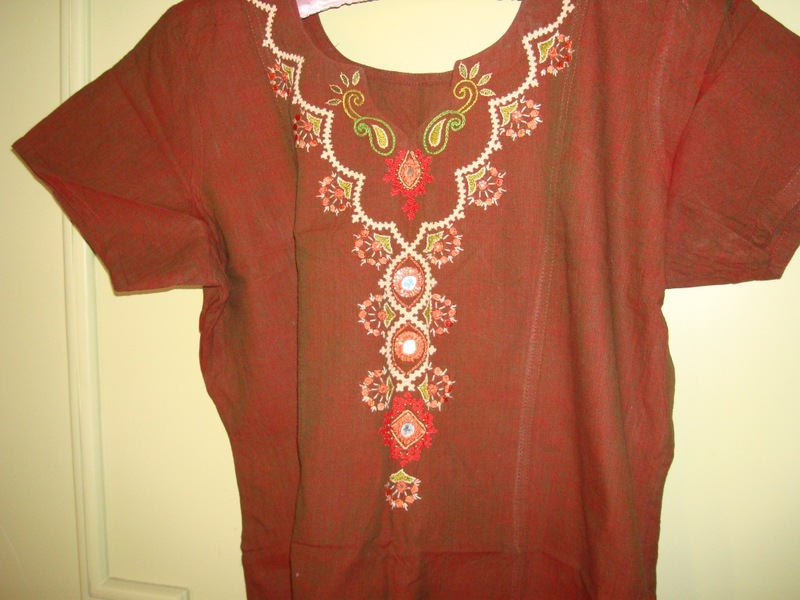 Now for the details of this tunic, I had bought this salwar from FabIndia. 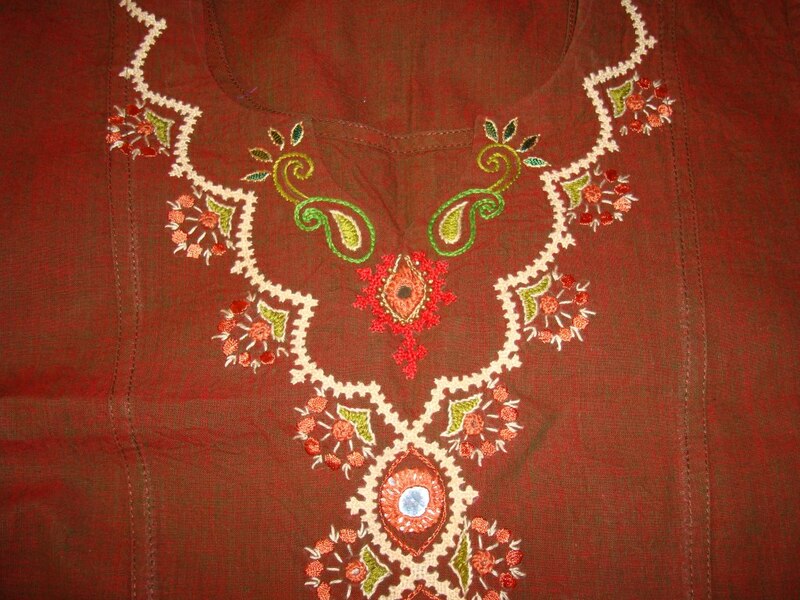 A brown handloom cotton fabric with green streaks was chosen for the tunic. 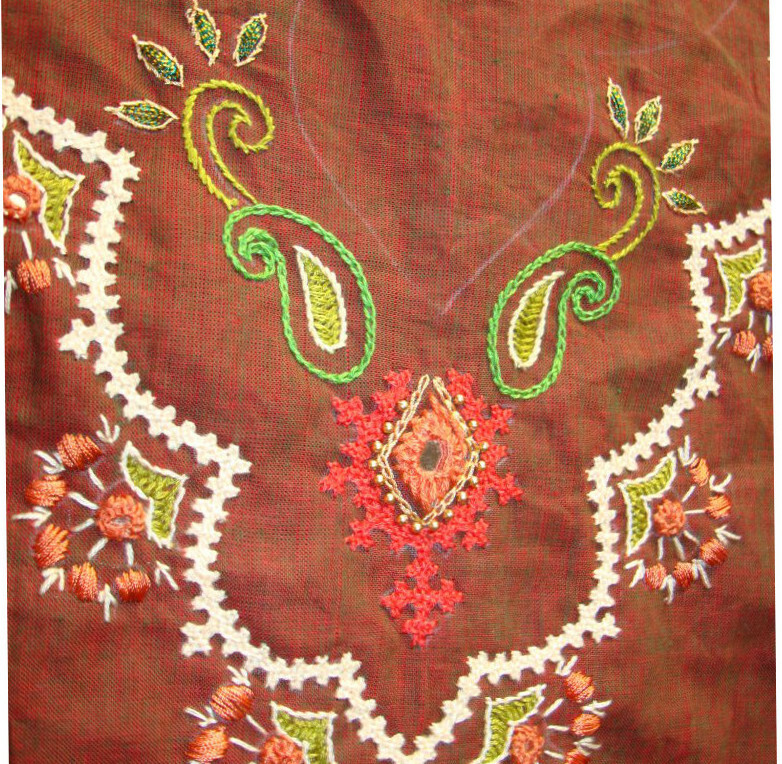 Generally I chose kutchwork motifs, borders drawn on graph paper, but for this tunic a freeform of kutchwork was worked with other stitches, beads and mirrors. 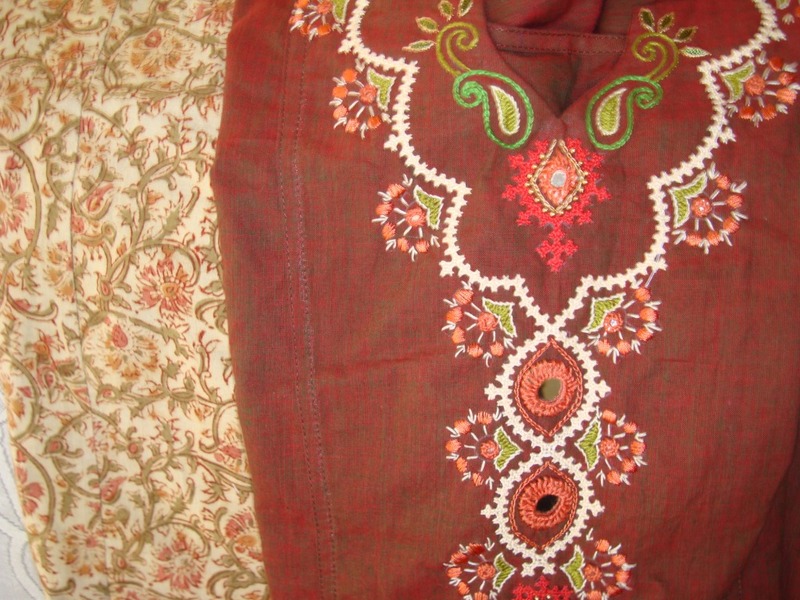 The neckline with paisley and central motif.